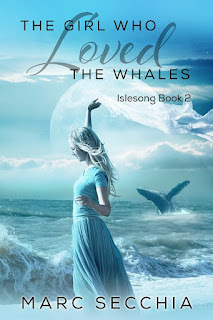 The second book in my Islesong series, The Girl who Loved the Whales, is available on Amazon Kindle and shortly in Print as well. 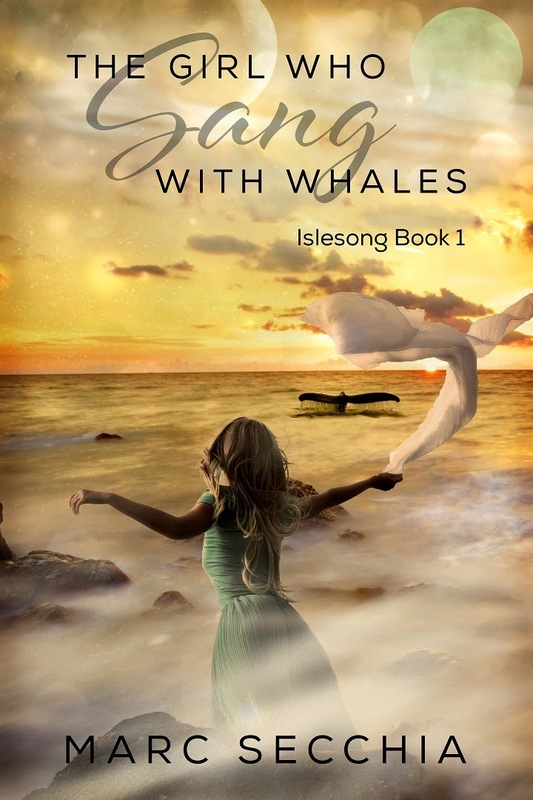 I'm delighted to announce the release of the 2nd Edition volume of The Girl who Sang with Whales, which is for me, a return to a beloved world of poetry, song and ever-restless oceanic vistas that hide many secrets, both cetacean and draconic. Having grown up in Cape Town with the ocean at my doorstep, this is a story which has always been close to my heart. This revised and expanded 2nd edition lays essential groundwork for later books in the series. While I’ve made over 6,500 individual changes to the 1st edition text, the key change comes at the end of Chapter 29. After nearly three years of consideration, I excised the final three chapters of the first edition (Chapters 30 to 32) and replaced them with a different, and I feel improved, resolution that so many loyal readers requested. This effectively eliminates the original cliff-hanger ending. If you purchased the first edition you should receive an email from Amazon with an updated file for your device, or you'll be able to send it to your device from your Amazon dashboard. The IsleSong series, as planned, now links in closely with the world of Aranya, Dragonfriend and The Pygmy Dragon - you may already have noticed from certain shared features of the world-building. A story for anyone who loves the ocean and its whales, salt water in their hair, and the gentle rasp of beach sand between their bare toes. This story will transport you to a beautiful, unspoiled ocean world where people have to rely on Whales to travel between the islands. A world where danger can, and does, lurk beneath any wave. A chance conversation with a car passenger provided the germ of the idea for IsleSong. My sources of inspiration this story combine my love of the ocean, having grown up in beautiful Cape Town, a concern for the environment, and the Chris Tomlin song 'Indescribable'. I need more! When is the second one coming!? I wish I had a date! I'm hoping for 2016 but I've a few series to finish in this time. Currently the plan is The Onyx Dragon in quarter 1, Dragonsoul in Q2 and Aranya #3 in Q3. As I noted above I'm intending to publish a second edition of IsleSong #1 during this time, paving the way for the second part. I'm longing to return to the ocean world of this series. I left you a note about this in general contact. But dear god Marc you left us with a cliff hanger! The is one of you best for me anyway. But hurry I can't leave Zhialeiana like this for long!! Hurry and complete this series! I have read and loved all of your dragon series so far, but I must say this is my favorite. I truly hope that you will be able to repub this (as you mentioned above) so that you can release the second book during 2016. Quite the cliff hanger. Hi Susilien - deep into planning IsleSong #2 now ;-) still targetting the end of this year. Thanks! Hi Cat, I am doing a bit of work in parallel - just for you :-) to ensure that #2 gets moving as quickly as possible when I have space in my schedule. I mind too! I wish I could bring these volumes out even faster, but it's a balance between quantity and quality. Stories also need time to 'mature' in my mind and editing to be as strong and consistent as possible. So as I said, I'm thinking parallel and writing Riika's story as a kind of tie-in ... still planning this piece. Aha, sorry didn't catch that - it's the next I'll write after Song of the Storm Dragon. Oho! Just discovered this comment. Thanks! When is the second one coming out? Also do you have an idea of when the second equinoxes cycle will be out? It's in editing at the mmoment and we're just about to move house which will throw a spanner in the works. I see Feb on the horizon I think. Came here as hadn't realised the first had been edited so was very confused when I started the second! Now back in the swing of the plot! Have you come across the song A Place in the Choir? Good! Sorry about the confusion. It needed to be done ... just one of those things. No I haven't come across that song. Will look it up :-) - I hope that you enjoy the read! I have to ask, is the Sea witch Numenstar? The second book said she is a "fallen star" and that sea dragons are copies of her so I figured she has to be a star dragon. And when does Islesong take place in relation to your dragon books? Good question. No, Numistar doesn't fill this role. The big reveal comes in IsleSong Book #3 which intersects the timeline of Dragon Thief, so quite late in the timeline of the dragon books. Can you please stop saying turns? It's so confusing. Sometimes it means an hour and sometimes it means a minute.So I hope your already planning the dragons of sea and sky. Please. I'm not patient. And Istariela!!!!!!! I have to be honest, I guessed a couple of pages early. But it's so incredible I nearly cried. Thanks! Will have to sort those references to turns for you ... it's meant to be similar to an hour. Glad you enjoyed this one! Where is the accent(s) located in Z's name? Also, was Z another control p? How do you come up with these names and your whole culture and traditions? When will Islesong 4 come out? Ooh, good questions. Islesong #4 aka Dragons of Sea and Sky needs some serious planning first. I'd like to finish Aranya and Pip's timeline now. I think people have waited for that one long enough! I'm hoping I can unstick that volume from my writing brain and get it done. I'm in a better space now writing-wise so I think that should be more than possible.